The Rockbox Slice Fabriq Edition is a wireless speaker in a compact, slim case. It combines high-quality materials and outstanding sound with a modern look that also convinces design-conscious music lovers. The Rockbox Slice Fabriq Edition may look small, but thanks to the passive bass, it turns you on with a fantastic sound and impressive beat. The case, which is covered with a fabric of multicolored threads, is adorned by a tanned leather label with embossed logo. The Rockbox Slice Fabriq Edition, available in eight trendy colors, reproduces your music in style. From the sound quality Rockbox Slice Fabriq Edition many a loudspeaker can cut off a disk. It can be wirelessly connected to your smartphone, tablet or notebook via Bluetooth. Your 1400 mAh battery has an impressive 10-hour watch time. Thanks to its compact size, the Rockbox Slice Fabriq Edition can be taken anywhere and can fill a whole room with music. Turn up the volume, close your eyes and let the music take you away. The Rockbox Slice Fabriq Edition makes the music! Countries as: Israel!!! Argentina!! Mexico! Russia! Maldives! Vietnam! Ukraine! Kazakhstan, Philippines – Estimated delivery time: is 5-10 weeks due to the destination countries customs delays and not our or the couriers’. If you do not agree with the above timeframes please do not purchase from our shop. Please note that it is the recipient’s responsibility to open and inspect the package. Only if the item is undamaged you can sign and accept delivery. The insurance will not be valid if you sign for the delivery for a damaged box. A replacement or refund will not be offered if you claim that your package arrived damaged but you did sign and accept the delivery which resulted in voiding the insurance. results in the cancelation of our sellers protection program, the order will be cancelled and a full refund will be issued without a warning. If the buyer will return the item due to refusal of import tax payment, all shipping costs and applicable duties will be deducted from the refund. 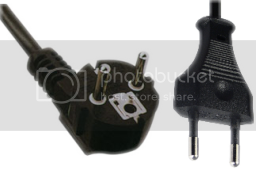 Please note that our products are coming with European Sepcifications and/or with European 2 PIN plug. Some of our items might not come with English manual and this is our general condition when it comes to plugs or manuals, but you can contact us for more information on any item you might be interested in.